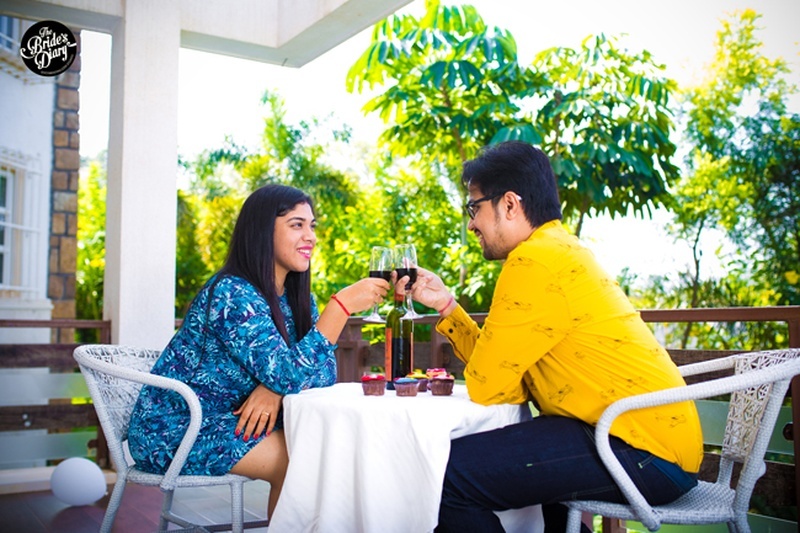 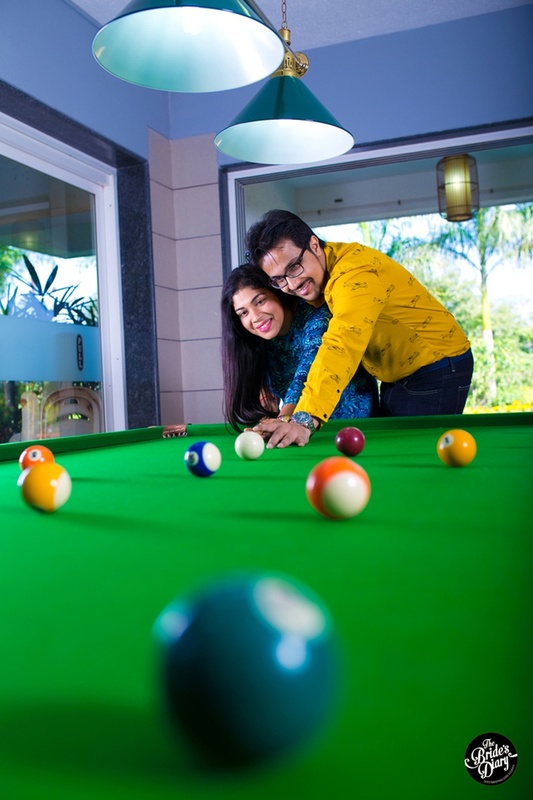 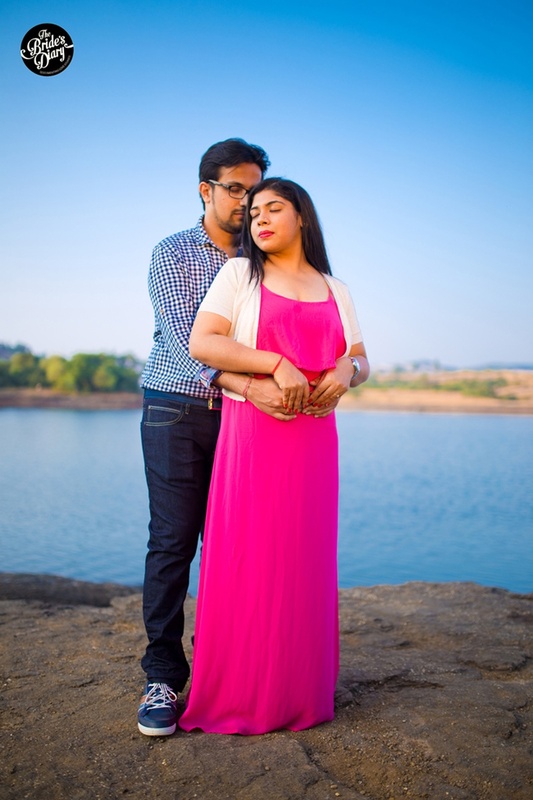 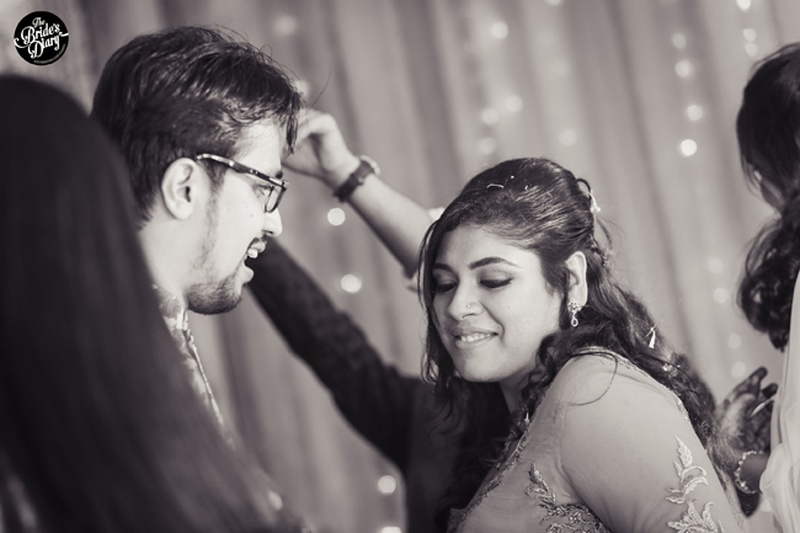 Ever since we set our eyes on Mansi and Anand’s pre-wedding shoot and wedding pictures captures by The Brides's Diary Photography, first which was all lake side romantic, and then more pool-side fun, we knew we’d be pinning all of their wedding pictures to our pinterest board all day long! 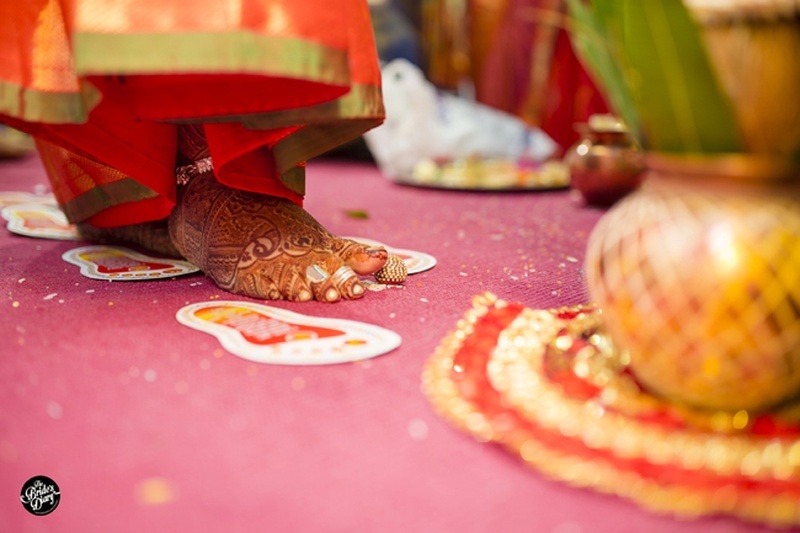 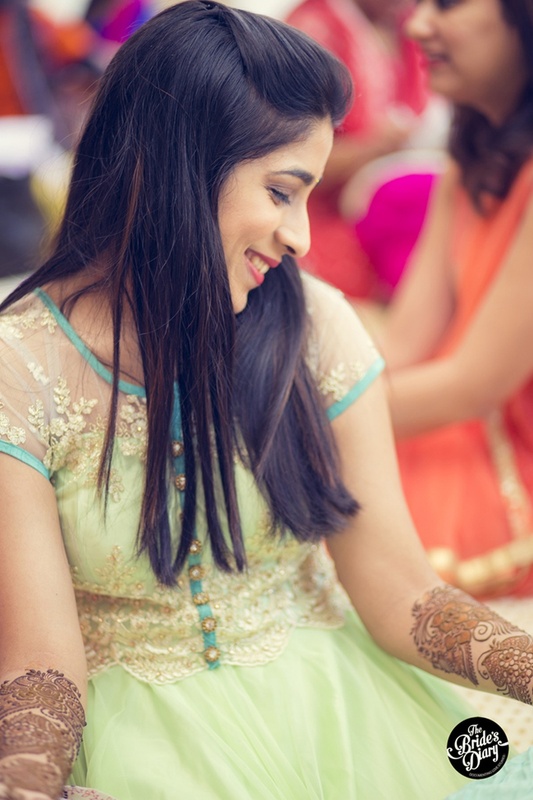 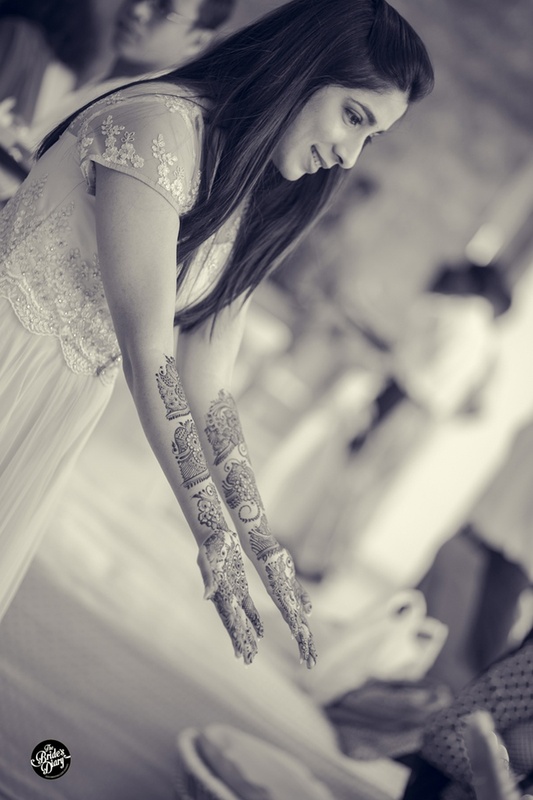 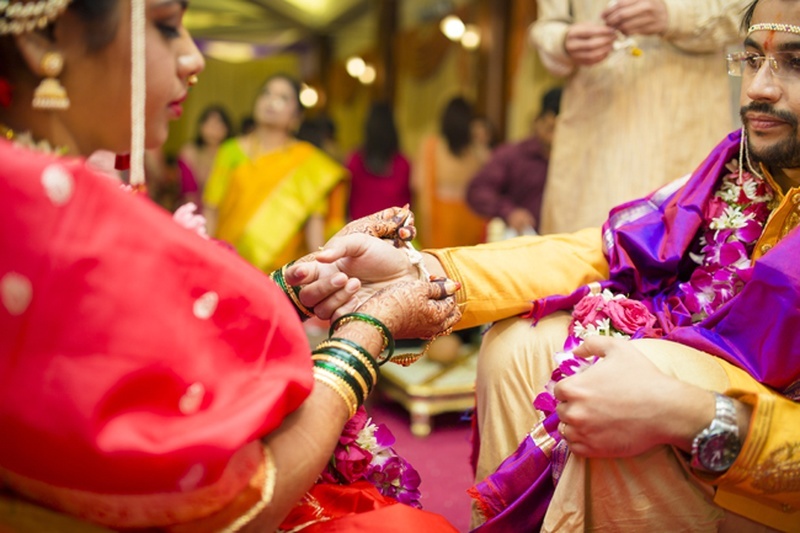 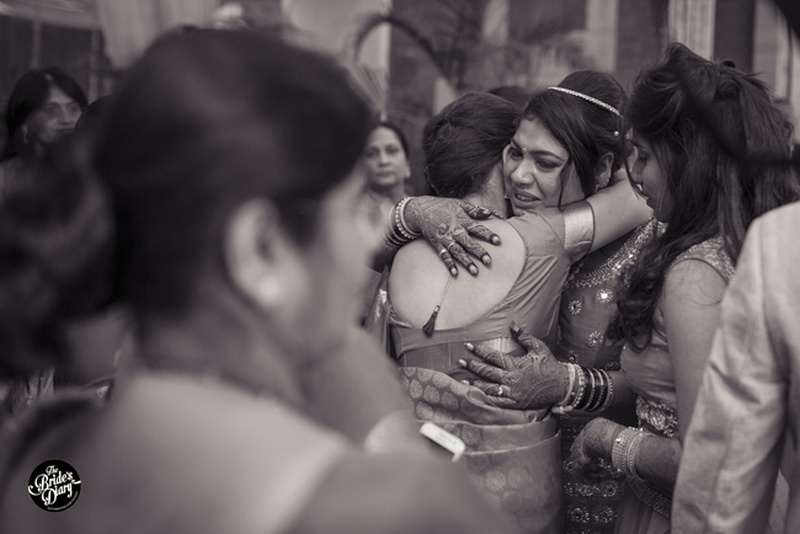 Celebrations began with an intimate mehndi ceremony – Mansi was the kind of bride who liked to keep her mehndi intricate yet bold. 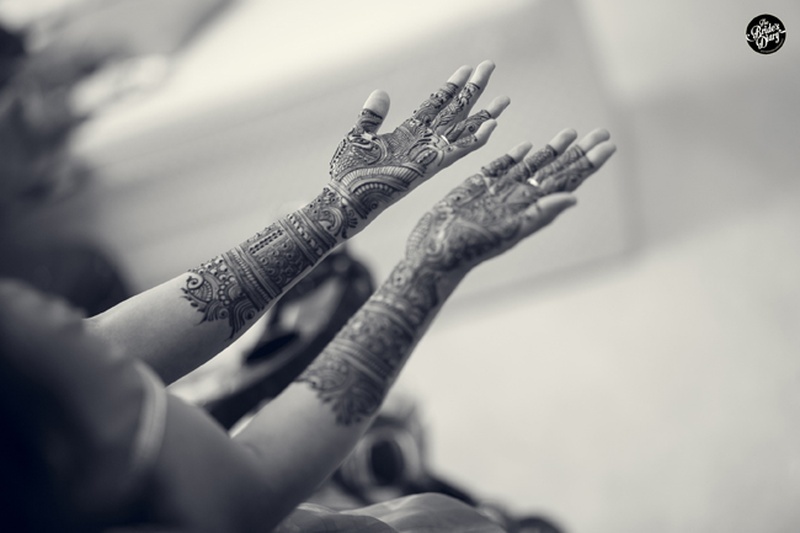 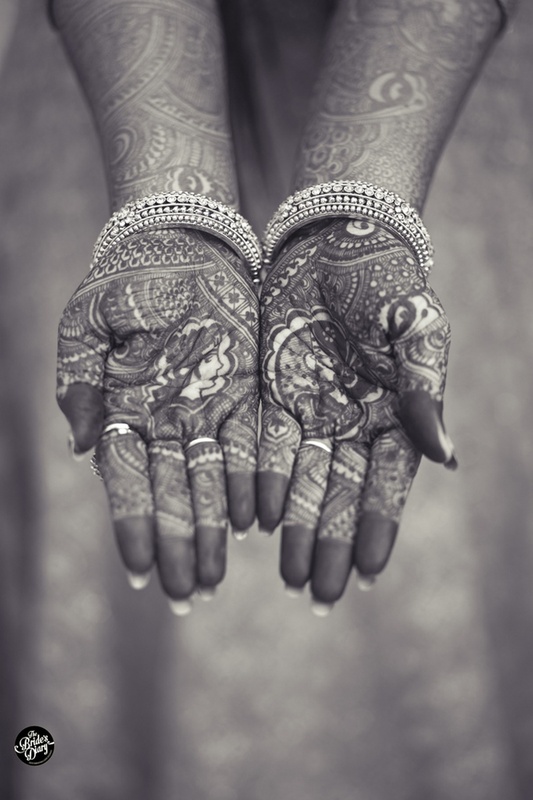 While the design was detailed and exquisite the way the patterns spread gave her arms a prominent look. 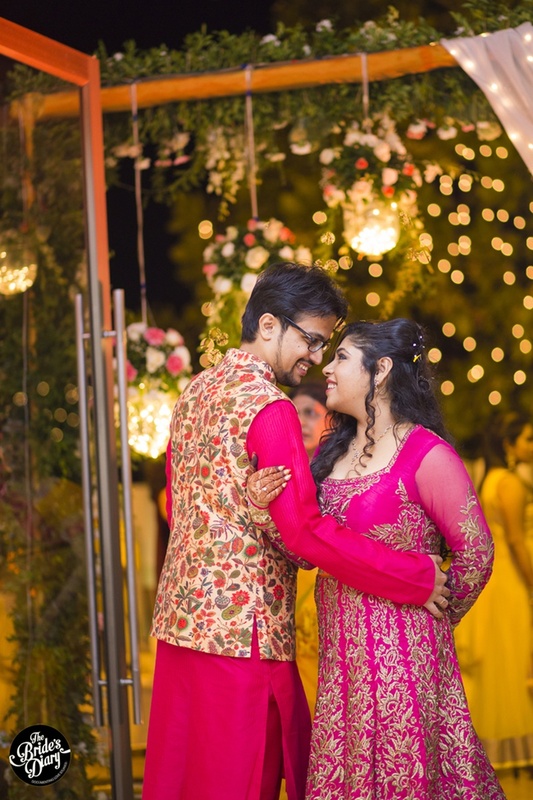 The sangeet saw her and Anand in beautifully coordinated fuchsia attires. 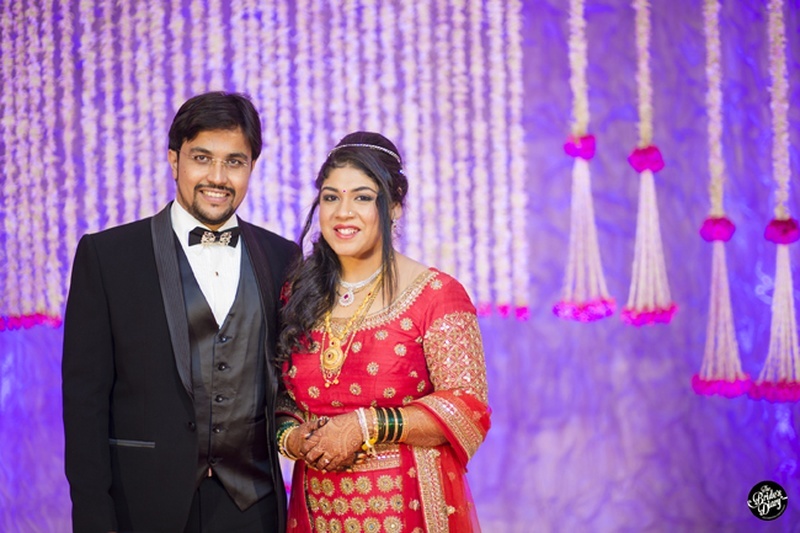 Mansi wore a deep back floor length anarkali with gold floral embroidery and Anand a matching pink silk kurta-churidaar. 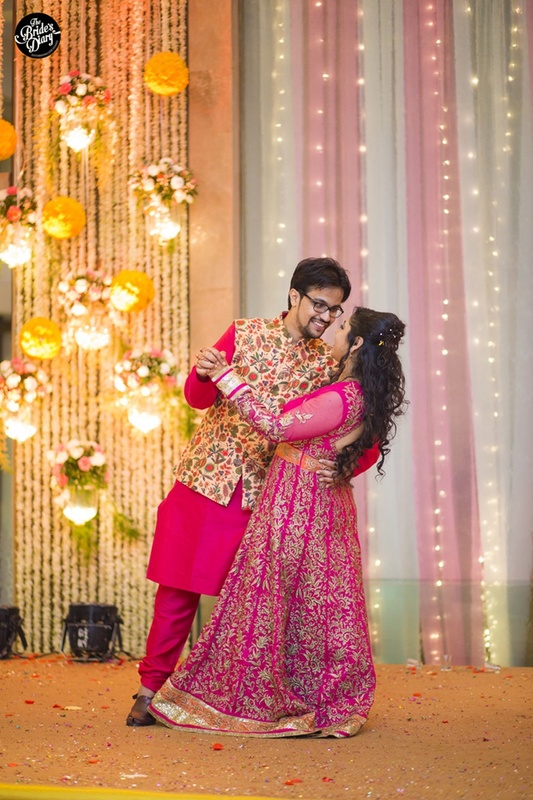 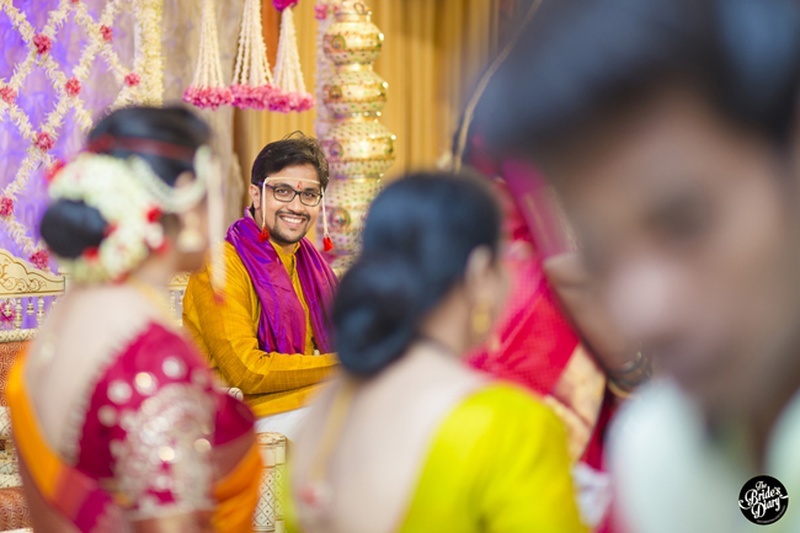 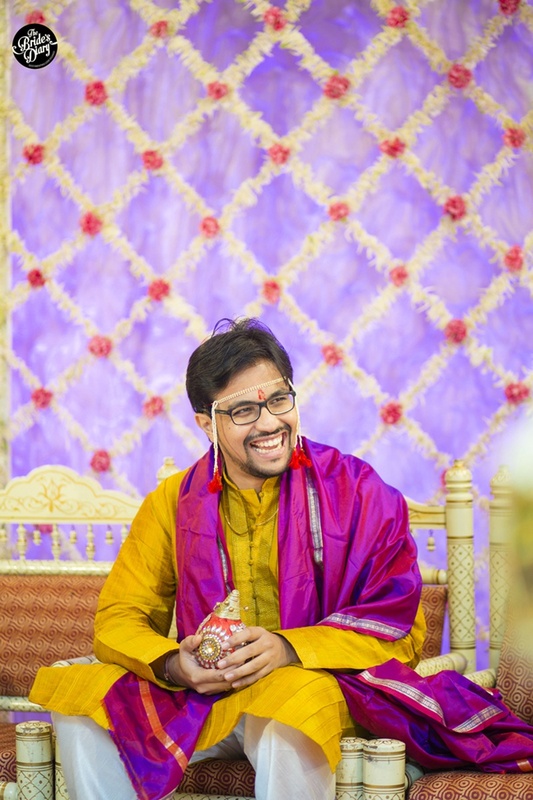 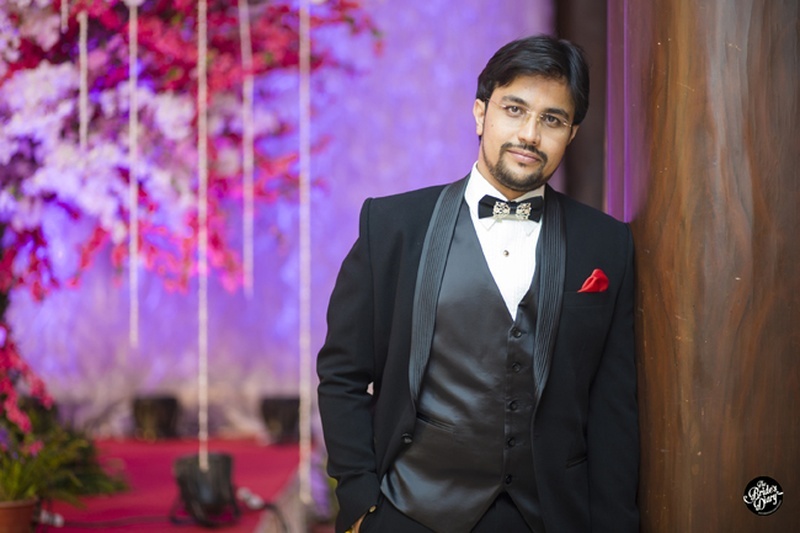 His floral bandhgala Nehru jacket surely took his entire look to whole new levels of stylish groomswear – we absolutely adore grooms who experiment with patterns and colors! 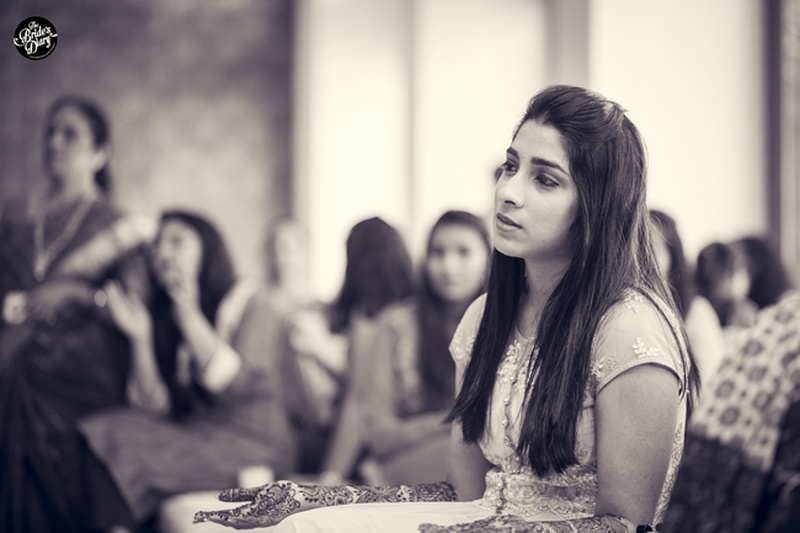 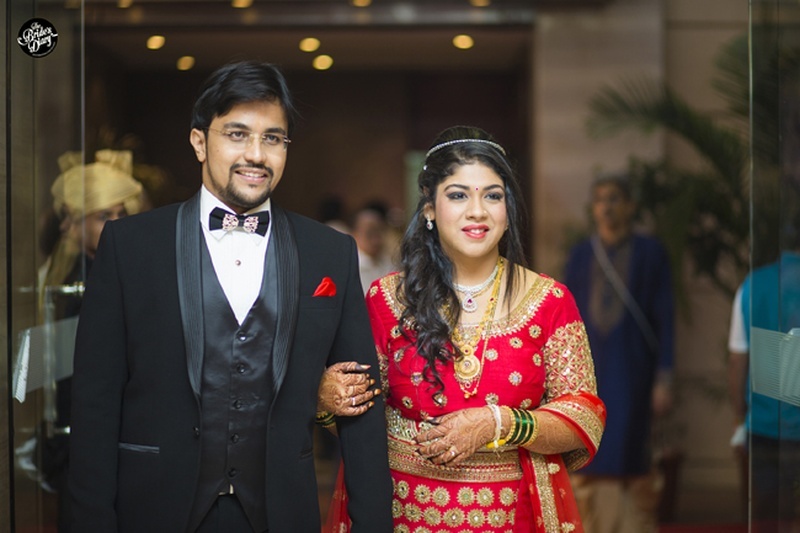 They opted to keep their wedding a simple and chic indoor affair with classy décor and traditional outfits. 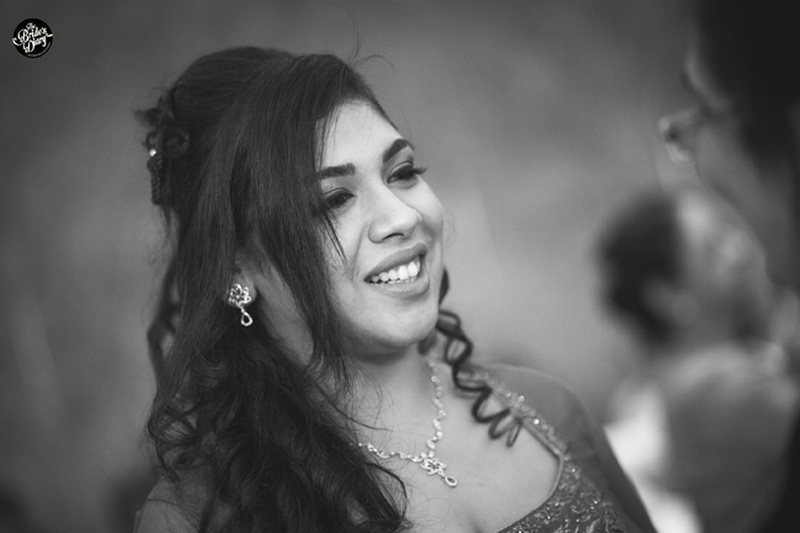 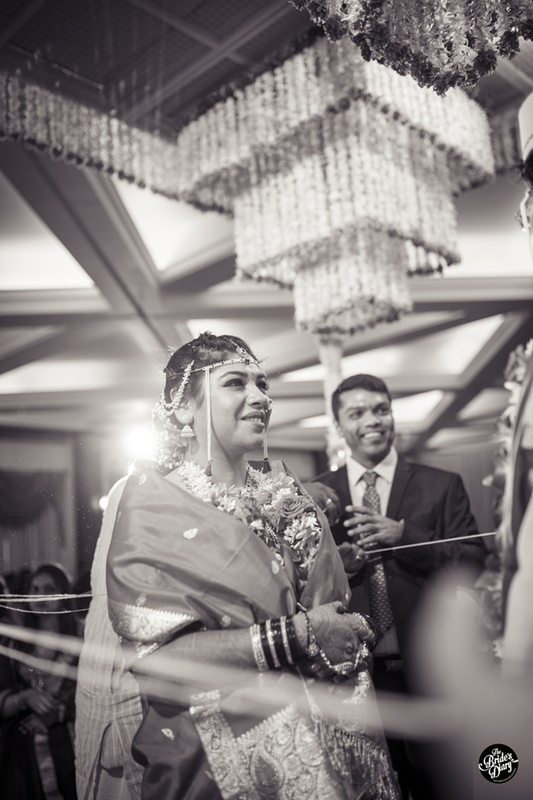 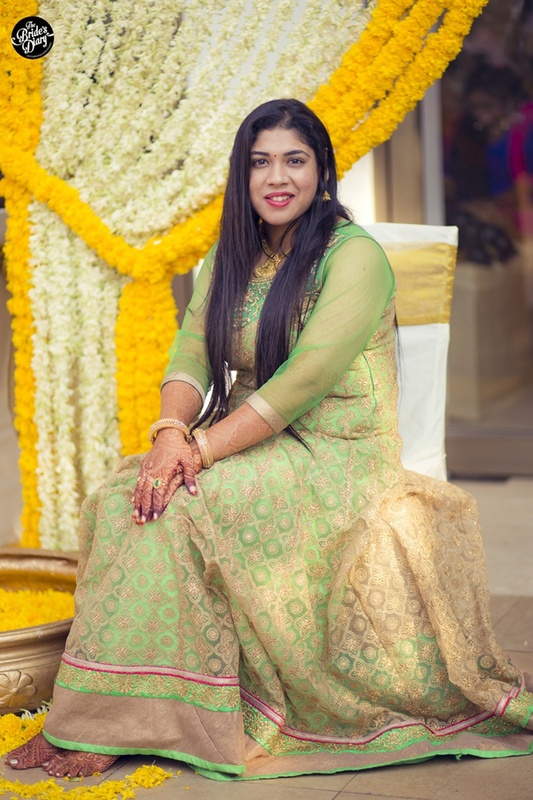 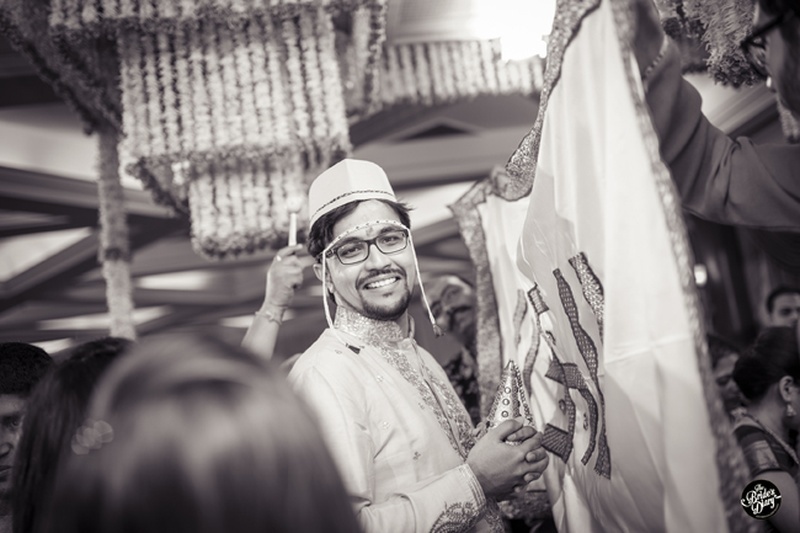 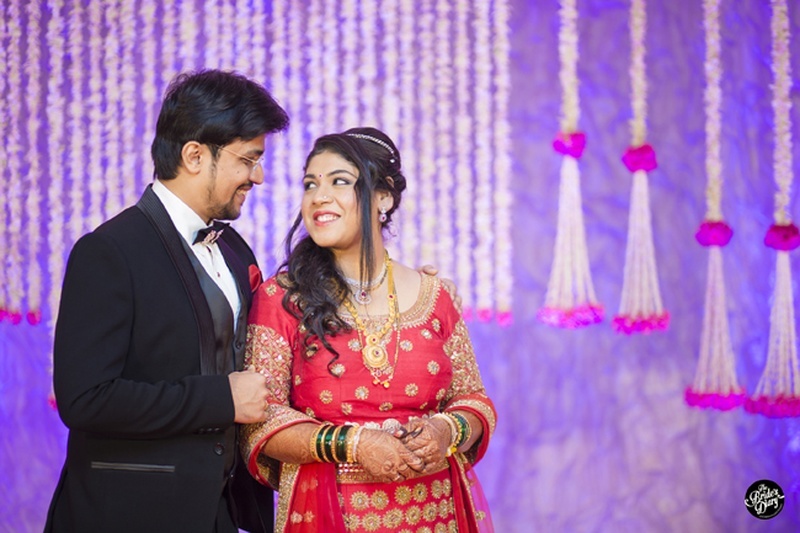 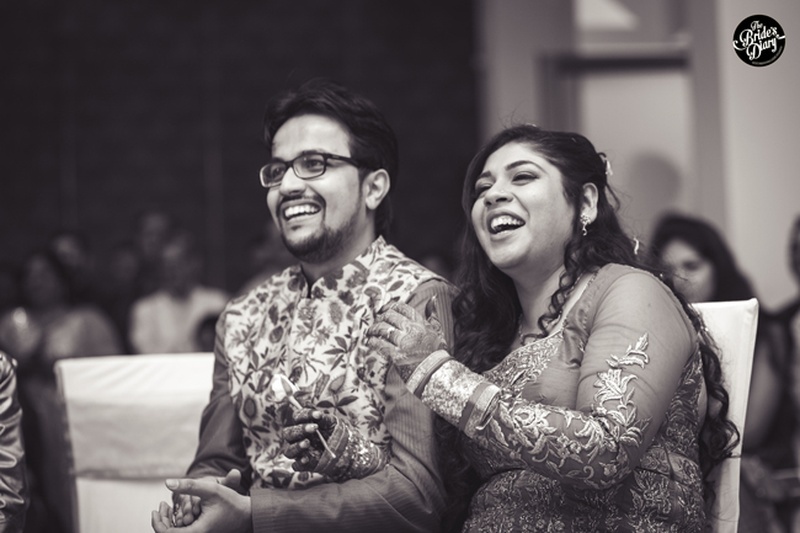 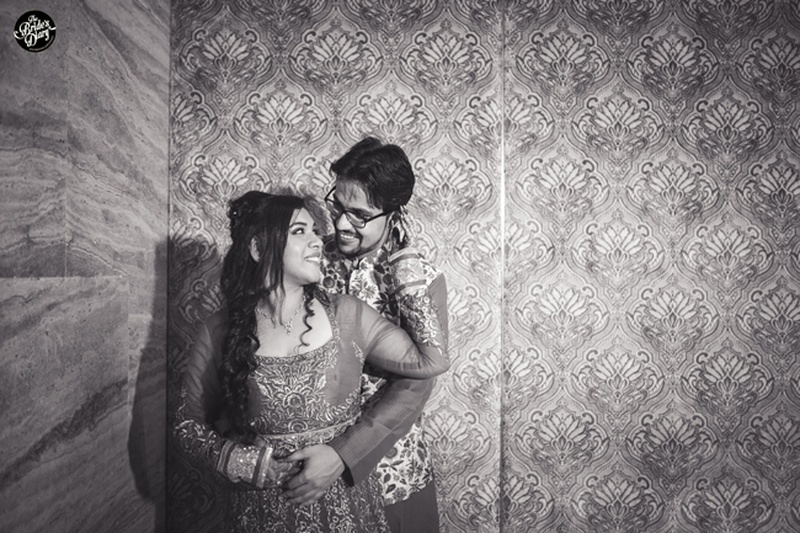 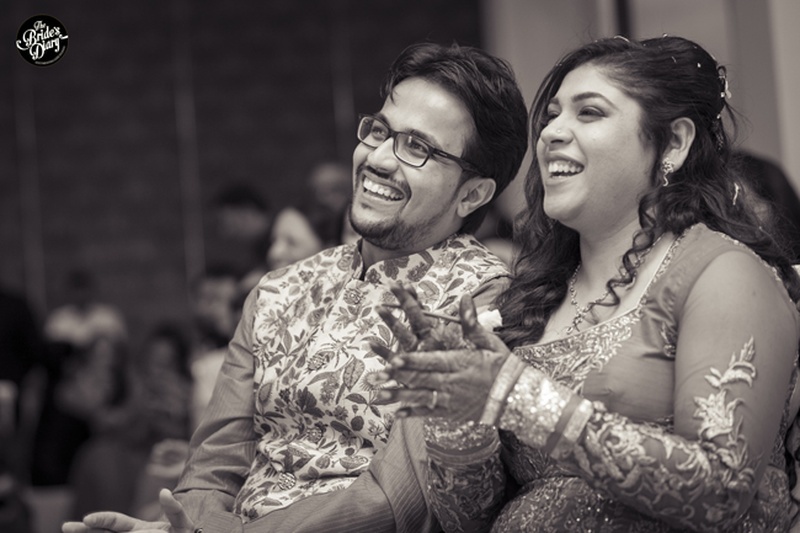 Their mandap had a mesh designed walls and a floral chandelier at the top and looked perfect, setting the exact tone of a wedding Mansi and Anand wanted. 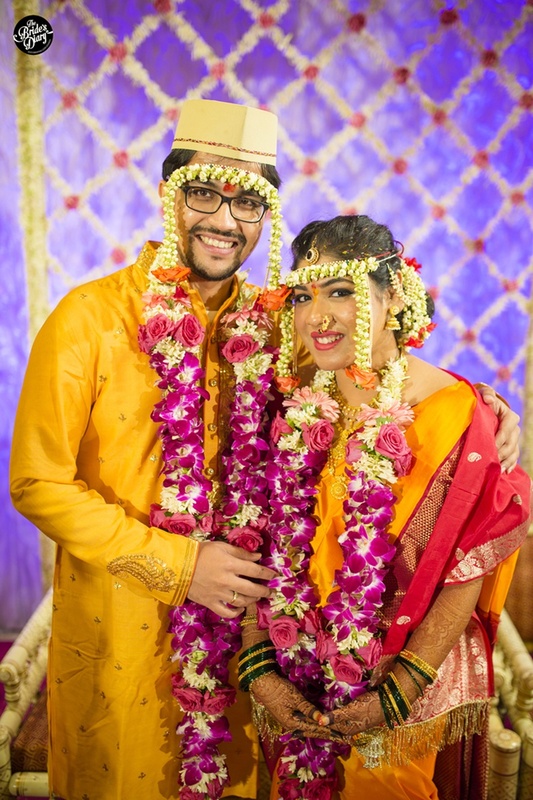 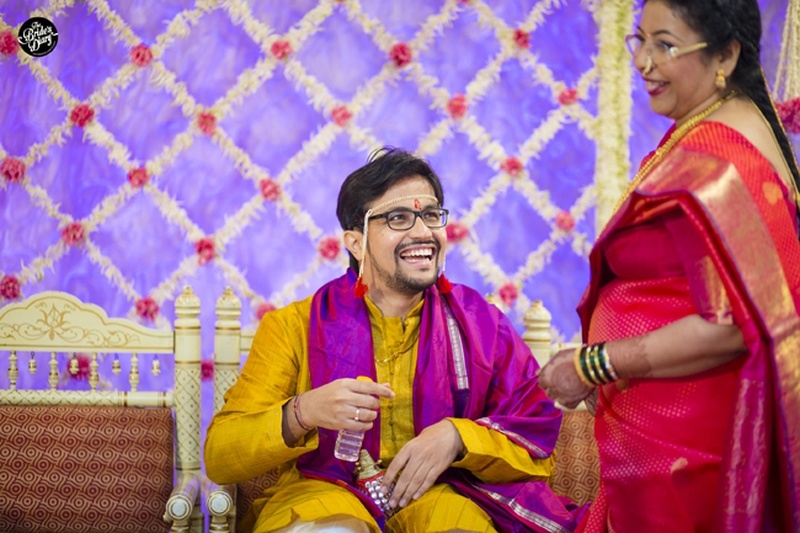 They wore matching outfits at their traditional Maharashtrian marriage too. 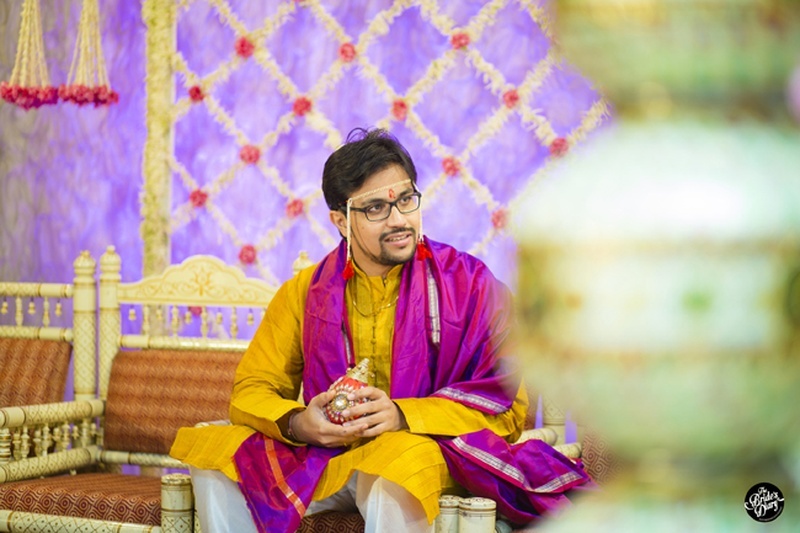 Dressed in a gorgeous shade of amber yellow, Anand wore a silk kurta with beautiful paisley patterned embroidery and Mansi, a classic nauvaari that had stunning red accents all over. 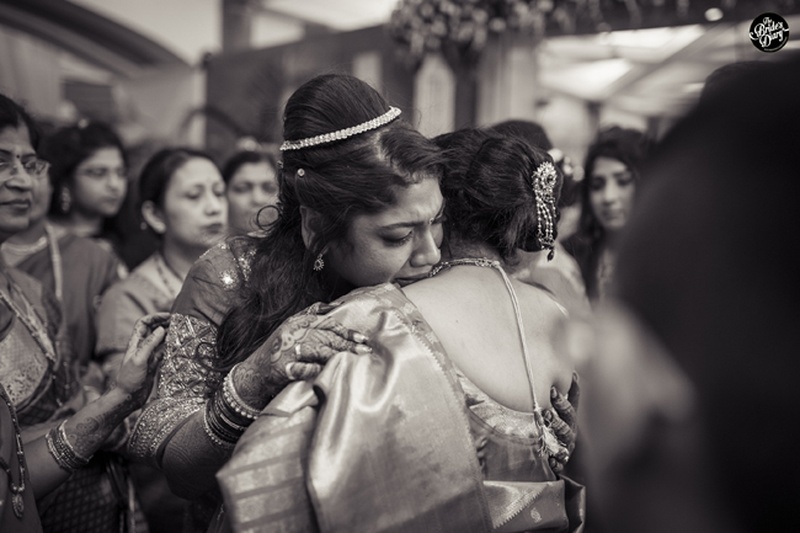 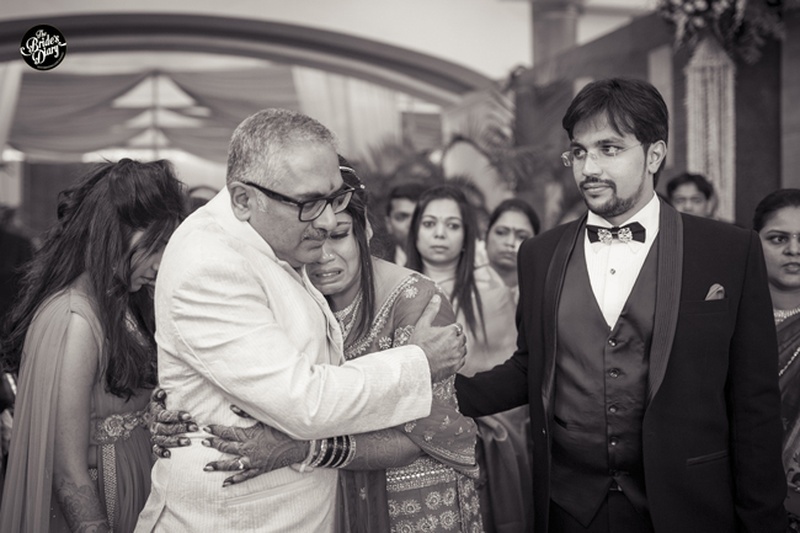 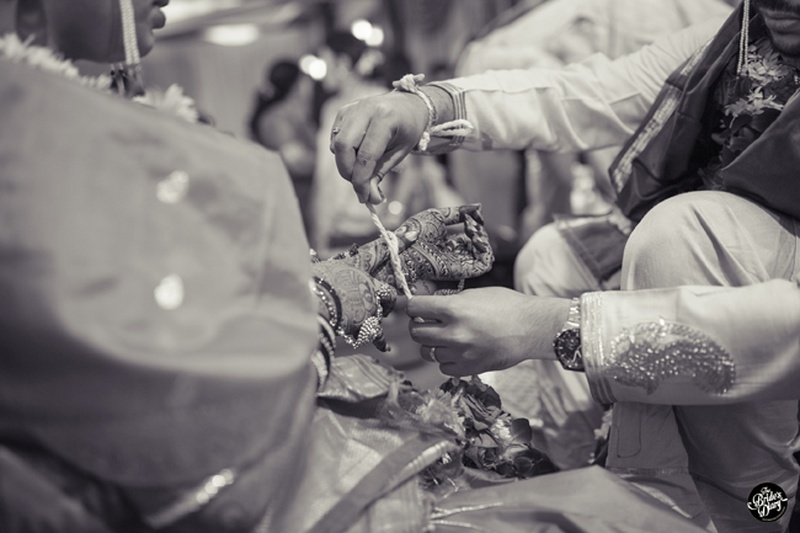 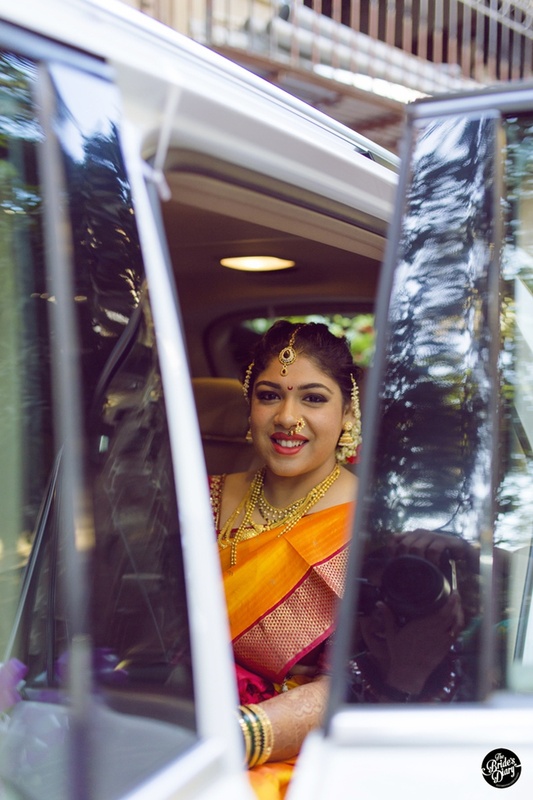 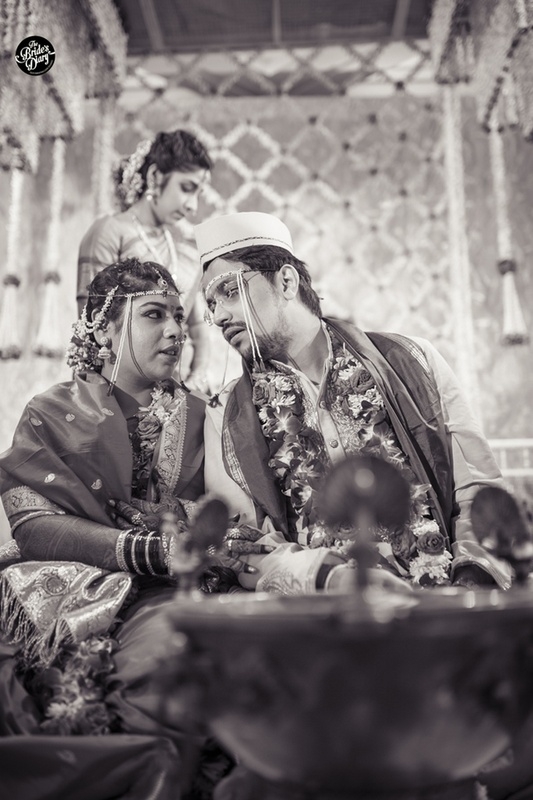 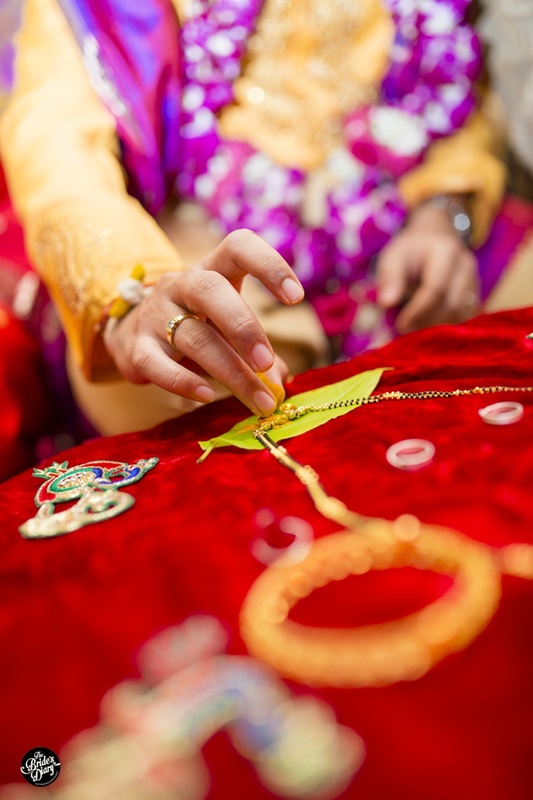 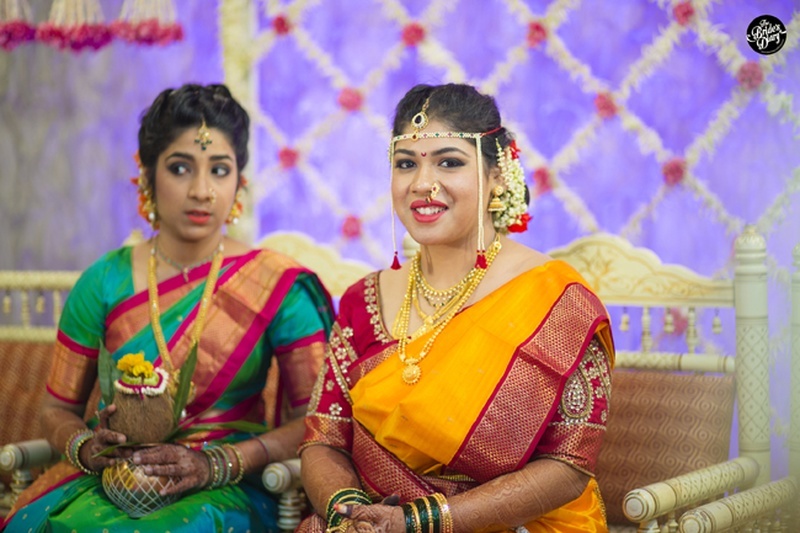 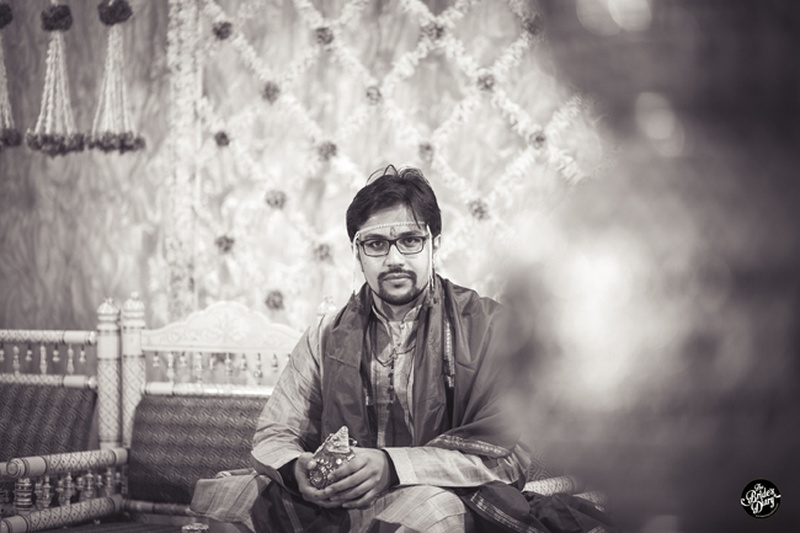 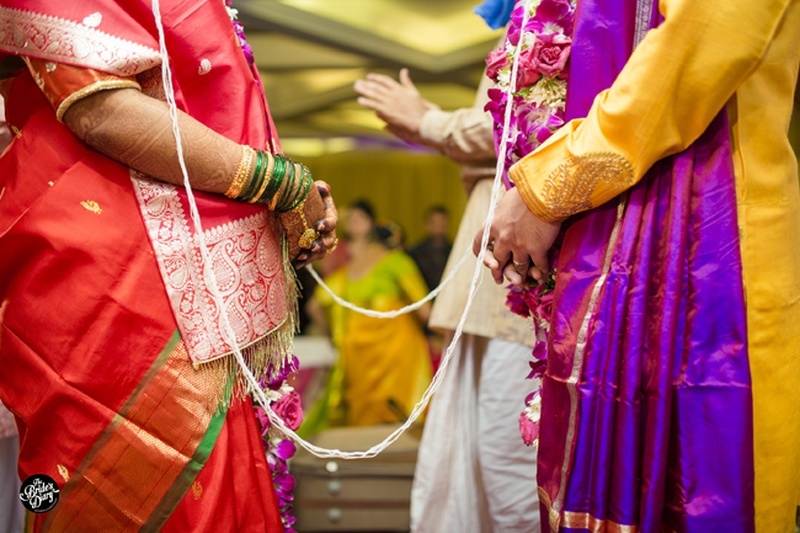 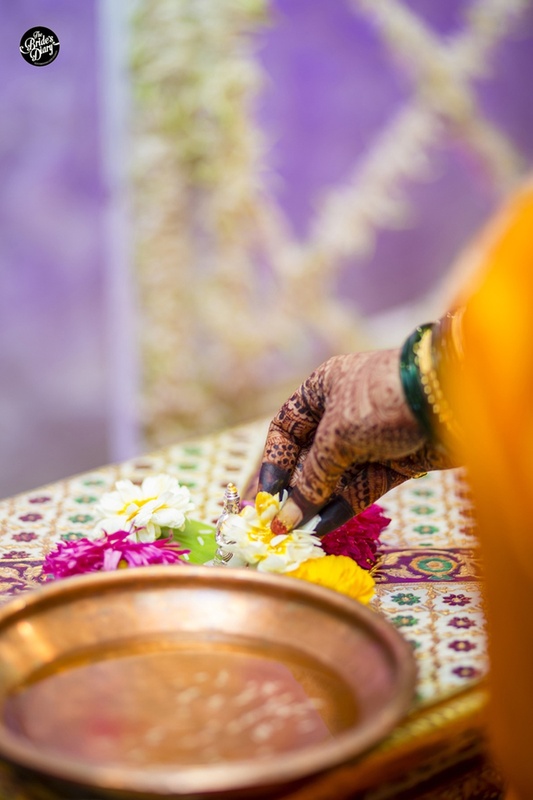 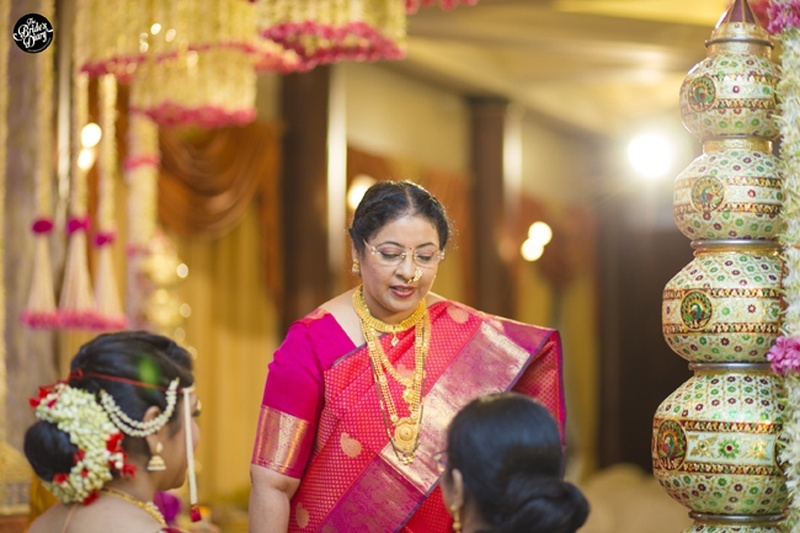 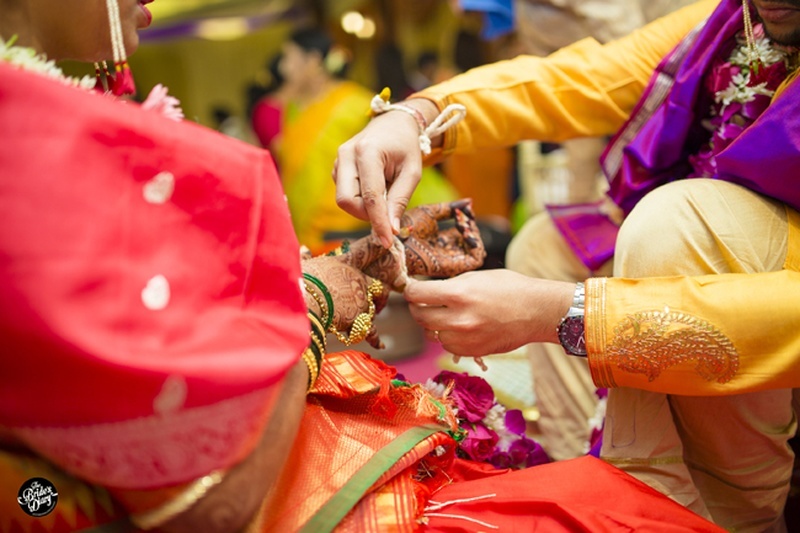 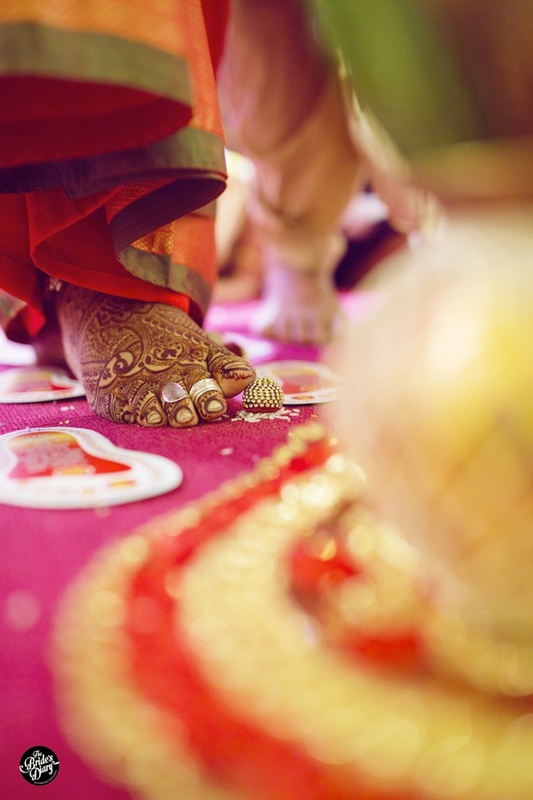 What to look out for as you scroll through this wedding – the couple’s fresh purple orchid garlands, Mansi’s minimal bridal jewellery and the heart-touching vidaai photographs.